Why? Your guess is as good as mine, but it's happening. 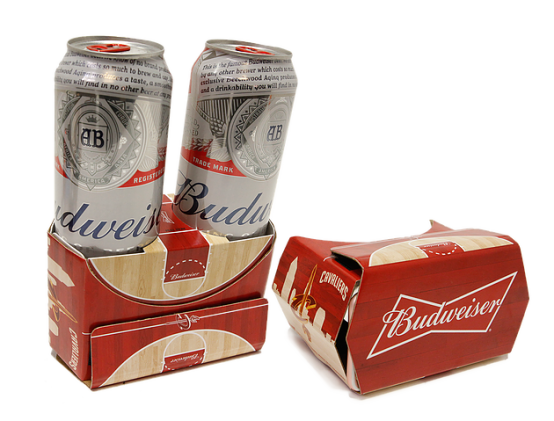 During the NBA playoff series between the Cleveland Cavaliers and the Atlanta Hawks fans will be able to snag one of these Budweiser-themed, drink holding VR headsets. I have questions. One being, don't ice cold beverages produce condensation? Aren't these headsets made of cardboard? Do liquid and cardboard (with encased electronics - i.e. your phone) mix? I'm pretty sure we all know the answers to these questions, and yet, this is still our reality. Also, why are we wearing VR headsets at a basketball game, shouldn't we be watching the game? But as Dr. Ian Malcolm said way back in 1993 in Jurassic Park, "Your scientists were so preoccupied with whether or not they could that they didn't stop to think if they should." DodoCase VR is no stranger to VR headsets and has multiple products available for sale. What this promotion is doing is not only help advertise for DodoCase, but it is also showing that VR experiences are much easier to obtain than the general public might have been aware. It also shows business new ways of advertising, via cheap cardboard VR headsets. And in theses cases, DodoCase VR has succeeded. If you're interested in finding out more about DodoCase VR and their different VR headsets (lacking cupholders, thankfully), make sure to check them out here.